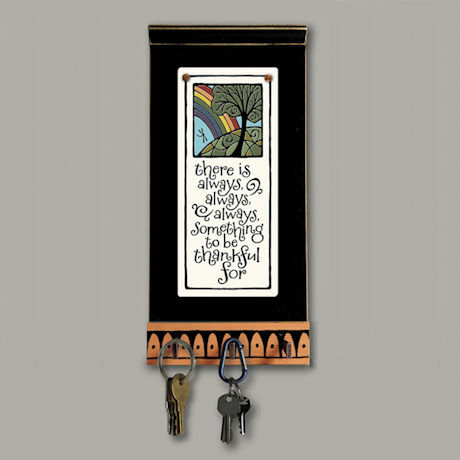 "There is always, always, always, something to be thankful for." As you leave home and return, grab your hat or reach for the leash to walk your beloved dog, you'll know these words are true. 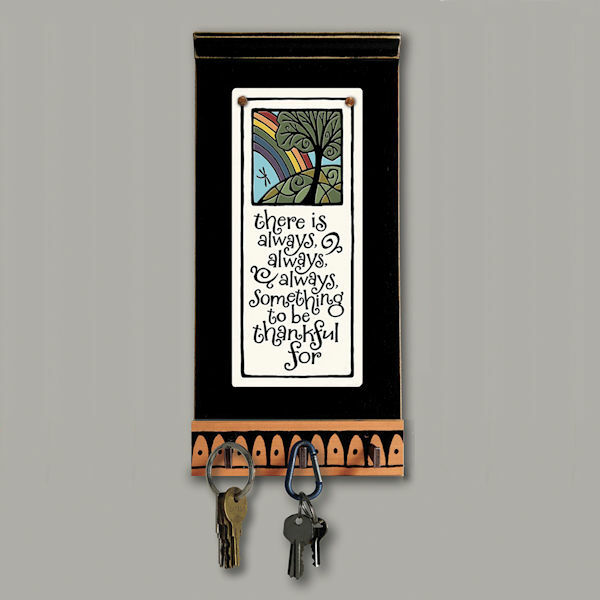 Crafted by hand in the studio of Shell Lake, Wisconsin potter Michael Macone in the tradition of American art pottery, ceramic tile is mounted on a distressed black wood and finished with three metal key hooks. 4¾" x 10". Hanging notches on back. Also available as plaque only. Fade-proof and weather-resistant, it comes on a sturdy hanging cord. 2¾" x 6". Made in USA.